Strengthening your own foundation is one of the very best beginnings you can give your child. 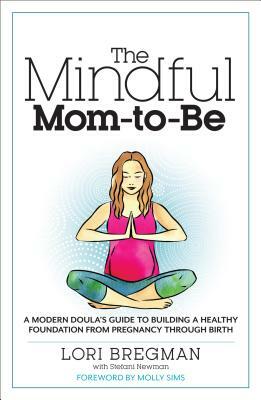 In The Mindful Mom-to-Be, doula and pregnancy coach Lori Bregman guides you in your journey toward motherhood by empowering you to find what works best for you and your baby. In addition to concrete, prescriptive health information, including nutritional advice, natural remedies, developmental milestones, and techniques for labor, she offers simple and enjoyable spiritual and emotional exercises to help you prepare for motherhood. As Lori explains, you're not just birthing a baby; you're birthing yourself as a mom, too. With month-by-month advice, comprehensive checklists, and customizable birth plans, this is your indispensible, holistic companion for pregnancy, birth, and beyond. Lori Bregman is the founder of the Rooted for Life pregnancy coaching program, a complete body, mind, and spirit support system that helps women through fertility, pregnancy, birth, and into motherhood. She blogs for ModernMom.com, MindBodyGreen.com, and at her own blog, LoriBregman.com. She lives in Santa Monica, CA.